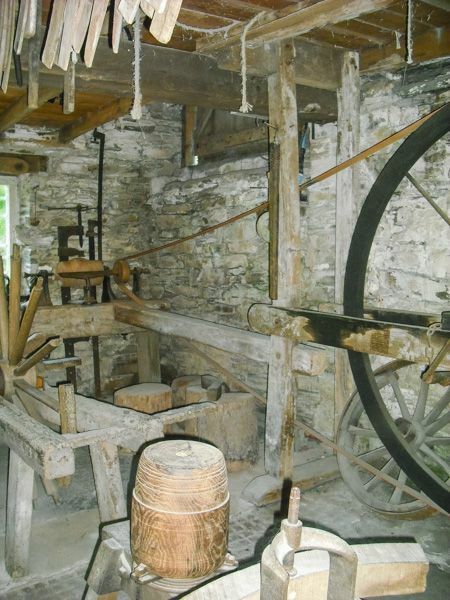 A part of Cotehele Estate, the Cotehele Mill is a historic working watermill with associated buildings, set in a wooded area in the Morden Valley. 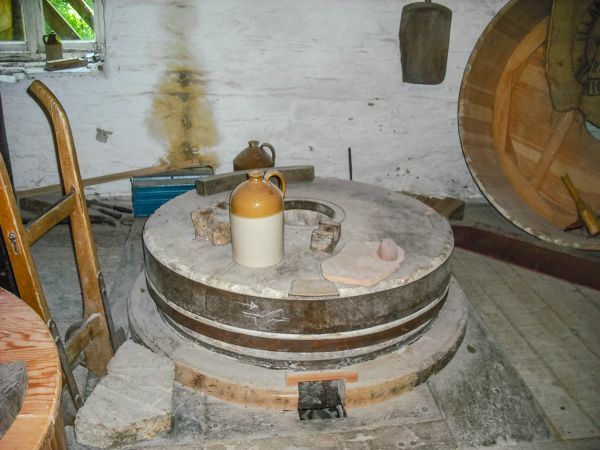 The mill is still in working condition, and visitors can purchase fresh ground flour ground on the premises. 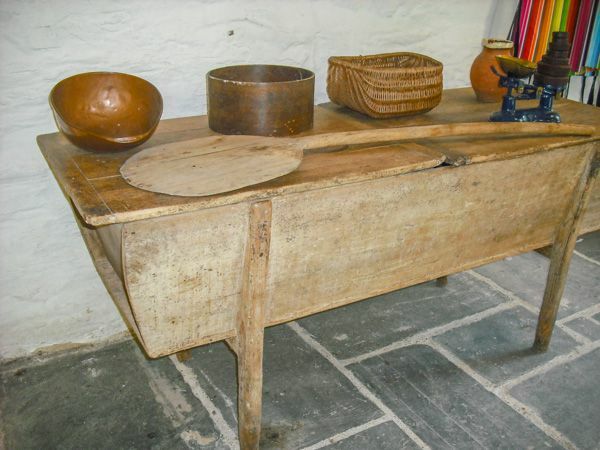 We don't know exactly when the first mill was established at Cotehele, but there was almost certainly a mill here in the medieval period. The current mill dates to the 19th century and has changed very little since the 1930s. In the 1860s the tenants, a family named Langsford, extended the mill, adding a sawmill on one side and a bakery on the other. 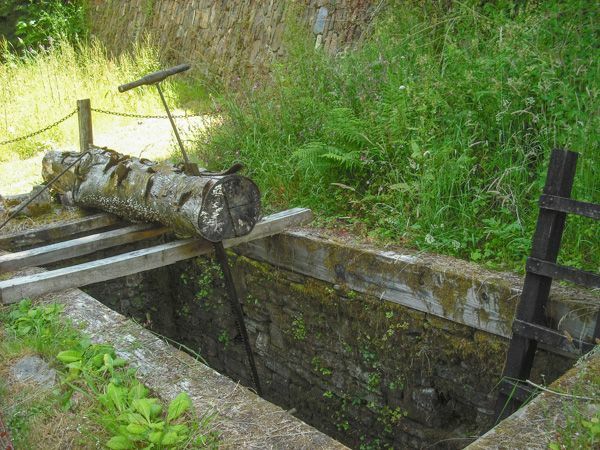 A second water wheel was added to power the sawmill. 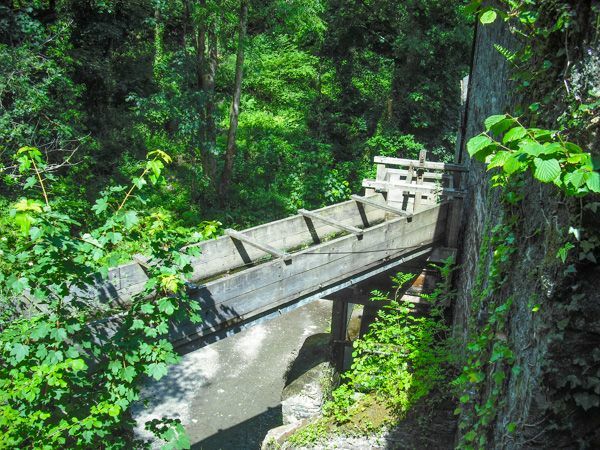 In the 1920s a small-scale hydroelectric scheme was introduced, harnessing the power of the Morden stream to drive the mill wheel. A leat, or channel, runs over 280 metres, bringing the water to a turbine house, where generators produce electricity. Any unused electricity is fed into the National Trust grid for use elsewhere, and the water runs back into the Morden, which in turn feeds the River Tamar - nothing is wasted! By the 1930s it was becoming difficult for small mills like Cotehele to compete with large flour mills, so the Langsford family stopped milling flour for human consumption, and shut down the bakery. 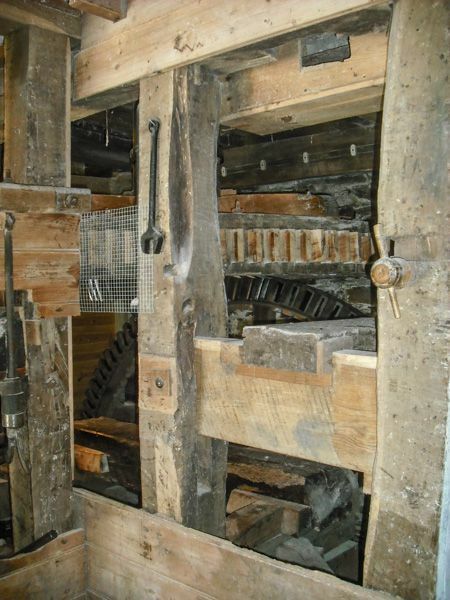 They concentrated instead on milling animal feed and improving the sawmill. 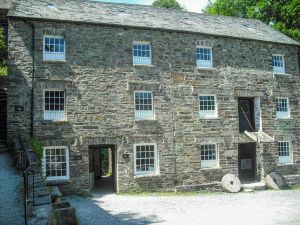 However, difficult access made the Cothele Mill a challenge economically, and in 1964 the last Langsford gave up the long family tenancy at Cotehele Mill. 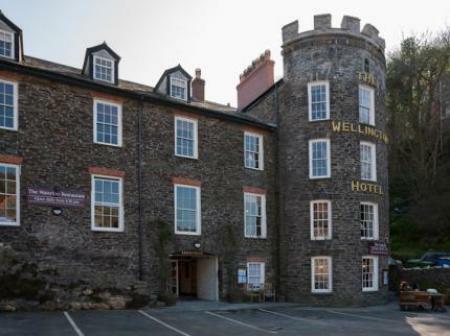 The mill is accessed by a pleasant, wooded walk from Cotehele Quay, or from Cotehele House (National Trust). 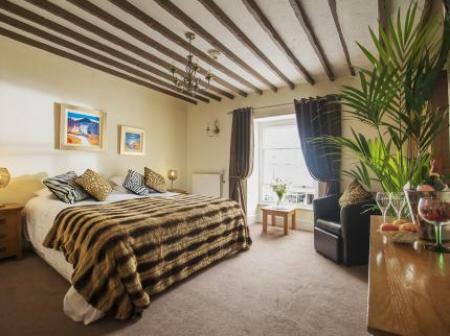 During the summer months a shuttle bus operates, taking visitors on a circular route from the mill, house, and quay. On selected days you can see flour being milled. 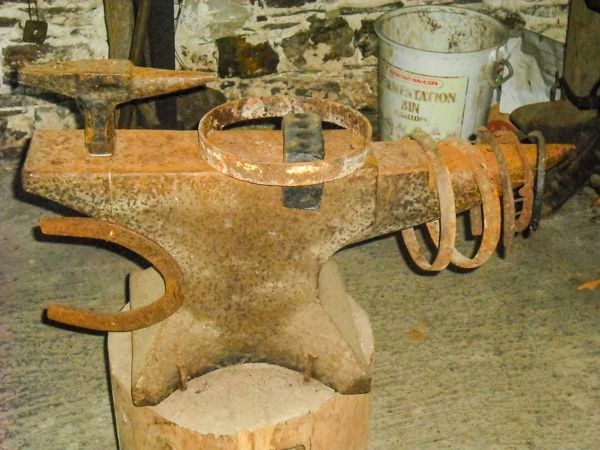 There is also a display of local tools used and made by carpenters, blacksmiths, saddlers, and wheelwrights. The tools are displayed in separate workshop areas, showing how people lived and worked in the past. 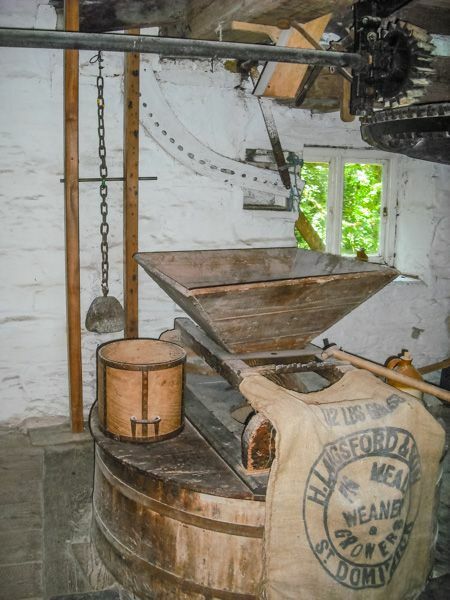 Cotehele Mill grinds about 7 tonnes of wheat, which is then bagged by volunteers and sold in the mill, in local shops, and in the National Trust shop at Cotehele House.